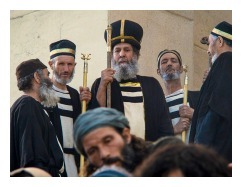 The Sanhedrin led Jesus before Pilate in a dizzying night of illegal trials. Pilate found Jesus innocent, but compromised the truth. Let's discover ultimate truth and the source of Pilate's problem. Please read John 18:28-40 before starting GraspingGod.com's free Bible study lessons, #3.09. Previous lesson: Peter Denies Jesus #3.08. 1) What were the Jews' charges against Jesus Christ? 2) What crime was Jesus actually convicted of by the Jews? The Sanhedrin reached a verdict in the wee hours of Friday morning. Imprisonment ensued for several hours after the religious trials of Jesus. They led Jesus before Pilate at an early morning hour because of the rush to crucify Jesus ahead of the official start of the Sabbath that evening. The Sanhedrin could declare a death penalty upon a man, but they lacked the authority from Rome to carry the sentence out. Thus, Pontius Pilate became part of the story of Jesus' crucifixion. Let's study the details. Pontius Pilate was the Roman governor of Jerusalem for ten years. He had already decreed several unethical slaughters upon the Jews in the years prior. Luke 13:1 tells us of the cruelty the governor inflicted upon some of Jesus' Galilean neighbors in the temple. Pilate was notoriously ruthless from the Jews' point of view. Despite the distrust the Jews had for the governor, if they wanted Jesus crucified they had to send Jesus before Pilate. Jesus threatened to destroy Jerusalem's temple (Matthew 26:61). Jesus Christ is an evildoer (John 18:30). Jesus perverts the nation (Luke 23:2). Jesus taught the Jews to refrain from paying taxes to Caesar (Luke 23:2). Jesus Christ is a revolutionary agitator (Luke 23:2). Jesus Christ makes himself to be king of the Jews (Luke 23:2). Jesus claims to be the Son of God (aka blasphemy) (John 19:7). This Jerusalem morning found Jesus before Pilate in a confusing situation for the governor. This was an unplanned, spur of the moment trial with no prior knowledge by Pilate. He had to be briefed with the details. Pilate went out to greet the mob of religious leaders, asking, "What is your charge against this man?" After referring to Christ as a criminal, the chief priest told Pilate they sentenced him to death. Suddenly, this event became a serious matter to Pilate. Had the Romans allowed the Jews to carry out the death sentence, Jesus would have been stoned to death outside the city gates. The Jewish leaders sometimes took matters in their own hands, too. For instance, Stephen was killed by stoning soon after Jesus' death (Acts 7:54-60). Jesus, however, had predicted several times the method by which he would die (John 3:14; 8:28). The Roman crucifixion was no surprise to Jesus. Pilate retreated with Christ into his headquarters. He apparently heard one of the charges that claimed Jesus referred to himself as the "King of the Jews." Therefore, he questioned Jesus. Jesus asked if that was Pilate's own thought, or if he had heard an accusation. Pilate angrily shot back, "Am I a Jew?! Your own people and their leading priests brought you to me for trial. Why? What have you done?!" Jesus, before Pilate, affirmed that he claimed to be King of the Jews. He said, "My Kingdom is not an earthly kingdom. If it were, my followers would fight to keep me from being handed over to the Jewish leaders. But my Kingdom is not of this world." Pilate restated the confession for the official records, "So, you ARE a King." Jesus answered, "You say I am a King. Actually, I was born and came into the world to testify to the truth. All who love the truth recognize that what I say is true." This is a tremendous statement by the Son of God. We need to talk, because Jesus doesn't throw crazy ideas around for no apparent reason. Truth is obviously Christ's most pressing matter, discussing it moments before his death. Jesus' birth, life, and teachings testified to the truth and people who value truth know Jesus is the Truth. The question of "truth" had been endlessly talked about by the Greek and Roman philosophers for centuries by this point and they never reached a consensus. Jesus knew that fact and now he's delivering the ultimate answer. Let's do a little background work on the subject of truth. Jesus Before Pilate - What Is Truth? "What is truth?" That's exactly what Pontius Pilate rhetorically asked. "What IS truth?" Four to five hundred years prior to this exchange the sophists, specifically Protagoras said that "man is the measure." In other words, humans had become interested in themselves as the source of truth, albeit a relative truth. Therefore, the pursuit to dissuade people of the reality of ultimate truth commenced. It's important to grasp onto the importance of truth, for this reason: If there is no truth, there is no true God. Fortunately, Socrates and Plato brought common sense back to the argument by reasoning that there is a perfect form, a higher good that is the source of everything. It was vague, but at least it was a positive conception of reality. Aristotle later concluded that there was a Prime Mover as the source of all knowledge and being. The vague ideas of the philosophers led to various spirituality movements throughout the Greek and Roman empires, which in some regards, prepared the way for the ultimate, absolute Truth (aka Jesus). Unbeknownst to them, the western world was being readied for the gospel of Jesus Christ. Did you know these great secular philosophers were indirectly preparing the way for Jesus? When the question is asked about truth, the focus is ultimate truth. In other words, is there a first and final source with true answers to the natural questions of life that a person ponders? Is there a God? How was the world created? Where and when did life begin? Is there evil? Who made me? Why am I me? Do I have a soul? What is right and what is wrong? Why does my conscience talk to me? What will happen when I die? Will I see God, or simply return to dust? Will I be judged on my actions and words? Can I live for ever in heaven? Is there really a hell? These are questions to which people want answers. Who doesn't want truth?! Ah, let's find out from Jesus. The people who want ultimate truth recognize it when they hear it from Jesus' own mouth. He said, "All who love the truth recognize that what I say is true." (John 18:37). If a person doubts Jesus and doubts his words (Mark 8:38), it's evident the person isn't seeking real, ultimate truth. They are like the sophists who believe that "man is the measure." My dear Friend, Jesus Christ IS the measure. Truth is objective. Truth is outside of man - we are not the measure - far from it. Truth is real. Truth is found in God (Isaiah 65:16). God is Truth (Psalm 89:14). Ultimate Truth is found in God himself (John 1:14-18). Truth is also God's word (Psalm 119:160; John 17:17). Jesus Christ is Truth (John 14:6). All things found in God's creation, which include man's ideas, thoughts, emotions, books, religions, etc, have been defiled to varying degrees by sin. We live in a fallen world and everything is tainted with the effects of sin. Nothing, and no one person can be ultimately trusted.The ultimate truth, found only in God and his Word is the only thing that can be fully believed and totally trusted. Please turn from your thoughts if you trust anything other than Jesus and his Word. 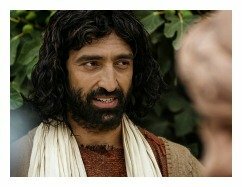 Jesus before Pilate revealed a doubter - someone who didn't hear God's voice. Pilate disengaged from his conversation with Jesus' claim about truth, making a philosophical statement, "What is truth?" Pilate did not take Jesus' claim seriously. Pilate didn't want an answer, wanting only to enjoy the mental gymnastics and human debate regarding the question. No doubt he read Protagoras and Plato. No doubt he heard the Roman philosophers of his day debating in the plazas of Rome. He liked the charged debate, not the possibility that there is real truth. If he had, he would have immediately recognized Jesus as the Truth (John 10:1-6). Ultimate truth is denied by many. For instance, the devil denied truth (Genesis 3:4-5); the self-righteous deny truth (1 John 1:10); and, unbelievers deny truth (1 John 5:10). Yet again, we have a subject before us that forces us to make a decision. It's not a decision that you can ignore, because disengaging from it, such as Pilate did, is a denial of truth. A decision can only be cast one of two ways: for God and his Word being the ultimate truth, or for God being a liar. If you desire real answers to life's ultimate questions, trusting Jesus and his Bible is the only way you'll be satisfied. Pilate concluded that Jesus Christ broke no laws of the Roman empire. Pilate also knew Jesus was no threat to the Roman empire in any way. Jesus was innocent in Pilate's eyes. However, Pilate had to be careful with the Jewish religious elite because of his past issues with them. In the event that he upset them, they were going to Rome to complain to Caesar himself. Pilate could not afford to experience Caesar's wrath yet again, so he feared for his governor's position. He chose to compromise with the Jews. Pilate announced his verdict of innocence for Jesus Christ. But, wanting to placate the Sanhedrin, he offered them a choice. In a grand show of cowardice, he wanted the Jews to be a part of the decision. 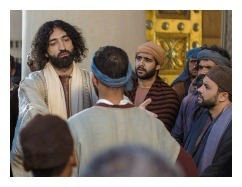 Pilate called upon the Passover custom of offering a convicted criminal unconditional release. He thought for sure the Jews would choose Jesus for release over Barabbas, a disgusting lifetime criminal. The Jews surprised Pilate, harshly retorting with shouts for the crucifixion of Jesus Christ. Jesus Before Pilate: Grasp This! Christ before Pilate, at the trial of Jesus, revealed one of his last claims: Jesus and his word are ultimate truth. God's truth is great (Psalm 57:10); plenteous (Psalm 86:15); abundant (Exodus 34:6); and enduring (Psalm 100:5). The Pontius Pilate and Jesus exchange set the two positions on truth: Denial or belief. There is no gray area. A choice must be made. Jesus before Pilate made his choice and Pilate before Jesus made his choice. Their destinies were etched in stone on this infamous day in the history of Jesus Christ. If man is the measure of truth, there is no eternal life, no forgiveness, and ultimately no hope. But, that isn't the case! Jesus Christ is the Way, the Truth, and the Life! (John 14:6). God has all the answers to the great philosophical questions of mankind. Grasp This! You can gain wisdom from God himself. Read the Bible (Hebrews 4:12). Jesus alone is the key to eternal life with God Almighty. You can trust Jesus Christ because he is the Truth. Jesus shares with you, "And you will know the truth, and the truth will set you free" (John 8:32). He will indeed! Tell the Lord that you believe in Truth, recognizing him as its Author. You'll never be the same. Next lesson: Herod Antipas #3.10. 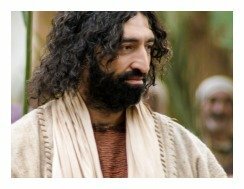 1) Pontius Pilate before Jesus revealed a wise man, because he found Jesus innocent. But, he was also exposed as a compromiser because of his fear for his position. Can Christians ever expect to receive fair trials by government officials? 2) How does ultimate truth factor into our decisions on who or what we can trust? 3) What part did the prophecy of God play in the trials of Jesus Christ? After sharing this Bible study lesson on Facebook or Twitter below download your FREE printable Bible Study Lessons (pdf version): Jesus Before Pilate, Lesson 3.09. Please Donate To GG.com! Special Note: I'm grateful to Big Book Media & Free Bible Images, Stock Exchange, Morgue Files, and Stock Photos For Free for the use of their photos for Jesus Before Pilate Bible study lesson.